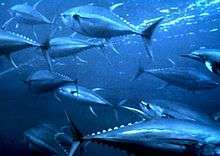 Individual fishing quotas (IFQs) also known as "individual transferable quotas" (ITQs) are one kind of catch share, a means by which many governments regulate fishing. The regulator sets a species-specific total allowable catch (TAC), typically by weight and for a given time period. A dedicated portion of the TAC, called quota shares, is then allocated to individuals. Quotas can typically be bought, sold and leased, a feature called transferability. 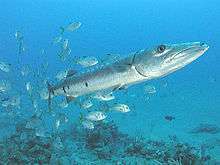 As of 2008, 148 major fisheries (generally, a single species in a single fishing ground) around the world had adopted some variant of this approach, along with approximately 100 smaller fisheries in individual countries. Approximately 10% of the marine harvest was managed by ITQs as of 2008.:218 The ﬁrst countries to adopt individual fishing quotas were the Netherlands, Iceland and Canada in the late 1970s, and the most recent is the United States Scallop General Category IFQ Program in 2010. The ﬁrst country to adopt individual transferable quotas as a national policy was New Zealand in 1986. The use of neoliberal privatizing regimes has also often raised contradictions with the rights of indigenous communities. For example, the exclusion of Māori tribes in the initial allocation of fishing quota in New Zealand's quota management system led to a lengthy legal battle delaying development in national fisheries policy and resulting in a large settlement from the crown. There have also been similar legal battles regarding the allocation of fishing rights with the Mi'kmaq in Canada and the Saami in North Norway. Aboriginal fishing rights are said to pose a challenge to the authoritative claims of the state as the final arbitors in respect of access and participation in rights-based regimes. Starting in January 2011, fishermen in California, Oregon and Washington will operate via tradeable catch shares. Fishers have been discarding bycatch that is not their target, typically killing the individuals. Catch shares allow trawlers to exchange bycatch with each other, benefiting both. Goals of the system include increased productivity, reduced waste, and higher revenues for fishers. More than a dozen other U.S. fisheries are now managed by catch shares. Fishery managers say that in Alaska, where catch shares have been in place for several years, fishermen are now getting higher prices for their catch. The transition to IFQ management tends to cause considerable economic harm to coastal communities that are dependent on commercial fisheries. Although IFQ management systems are designed to enhance the economic performance of the fishing industry, this usually comes at the cost of coastal communities whose economies rely principally on their fishing fleet. This cost results from the re-equilibration of the quota-regime market, revealing the inefficient over-investment that had taken place in the industry prior to implementation of the quota regime. ↑ Hardin, Garrett (1968). "The tragedy of the commons. The population problem has no technical solution; it requires a fundamental extension in morality". Science. 162 (3859): 1243–1248. Bibcode:1968Sci...162.1243H. doi:10.1126/science.162.3859.1243. PMID 5699198. ↑ Warming, Jens (1911). "Om grundrente af fiskegrunde' (On rent of fishing grounds)". Nationalbkonomisk Tidsskrift. 49: 499–505. ↑ Gordon, Howard (1954). "The economic theory of a common-property resource: the fishery". Journal of Political Economy. 62 (2): 124–142. doi:10.1086/257497. ↑ Scott, Anthony (1955). "The fishery: the objectives of sole ownership". Journal of Political Economics. 63 (2): 116–124. doi:10.1086/257653. ↑ Grafton, Quentin; Delvin,Rose (1996). "Paying for pollution: permits and charges". Scandinavian Journal of Economics. 98 (2): 275–288. doi:10.2307/3440859. ↑ Mansfield, Becky (2004). "Neoliberalism in the oceans: rationalization, property rights and the commons question". Geoforum. 35 (3): 313–326. doi:10.1016/j.geoforum.2003.05.002. ↑ Mansfield, Becky (2004). "Rules of privatization: contradictions in neoliberal regulation of North Pacific fisheries'". Annals of the Association of American Geographers. 94 (3): 565–584. doi:10.1111/j.1467-8306.2004.00414.x. ↑ Leitner, Helga; Peck, Jamie; Sheppard Eric (2006). Contesting Neoliberalism. Guildford: Guildford Press. ↑ Davis, Anthony; Jentoft, Svein (May 2001). "The challenge and the promise of indigenous peoples' fishing rights—from dependency to agency". Marine Policy. Elsevier. 25 (3): 223–237. doi:10.1016/S0308-597X(01)00014-8. ↑ "Sharecroppers of the Sea". ↑ "Guaranteed fish quotas halt commercial free-for-all". New Scientist. ↑ Essington, T.E. (2009). "Catch Shares Improve Consistency, not Health, of Fisheries". Lenfest Ocean Program. ↑ Essington, Timothy (2012). "Catch shares, fisheries, and ecological stewardship: a comparative". School of Aquatic and Fishery Sciences. ↑ Essington, T.E. (2010). "Ecological indicators display reduced variation in North American catch share fisheries". Proceedings of the National Academy of Sciences. 107 (2): 754. Bibcode:2010PNAS..107..754E. doi:10.1073/pnas.0907252107. ↑ "Pacific Halibut-Sablefish IFQ report 2011" (PDF). 1 2 "The Red Snapper IFQ: Some Success and Serious Problems" (PDF). ↑ "Catch Share Leave Fishermen Reeling". ↑ "Leasing practices in North Pacific fisheries Bering Sea and Aleutian Island crab fisheries". North Pacific Fisheries Management Council Report. 2009. ↑ Pinkerton, Evelyn; Danielle N. Edwards (2009). "The elephant in the room: The hidden costs of leasing individual transferable fishing quotas". Marine Policy. 33 (4): 707. doi:10.1016/j.marpol.2009.02.004. ↑ Eytho Hrsson, E. (1996). "Coastal communities and ITQ management. The case of Icelandic Fisheries". Sociological Ruralis. 36. Gordon, H.S. (1954). "The Economic Theory of a Common Property Resource: The Fishery". Journal of Political Economy. 62 (2): 124–42. doi:10.1086/257497.